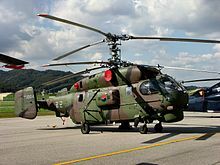 The Republic of Korea Air Force (ROKAF; Korean: 대한민국 공군; Hanja: 大韓民國 空軍; Romanization: Daehanminguk Gong-gun), also known as the ROK Air Force, is the aerial warfare service branch of South Korea, operating under the South Korean Ministry of National Defense. "ROK Air Force", "ROKAF", "South Korean air force"
Shortly after the end of World War II, the South Korean Air Construction Association was founded on August 10, 1946, to publicize the importance of air power. Despite the then-scanty status of Korean armed forces, the first air unit was formed on May 5, 1948, under the direction of Dong Wi-bu, the forerunner to the modern South Korean Ministry of National Defence. On September 13, 1949, the United States contributed 10 L-4 Grasshopper observation aircraft to the South Korean air unit. An Army Air Academy was founded on January 1949, and the ROKAF was officially founded on October 1949. The 1950s were a critical time for the ROKAF as it expanded tremendously during the Korean War. At the outbreak of the war, the ROKAF consisted of 1,800 personnel but was equipped with only 20 trainers and liaison aircraft, including 10 North American T-6 Texan advanced trainers purchased from Canada. The North Korean air force had acquired a considerable number of Yak-9 and La-7 fighters from the Soviet Union, dwarfing the ROKAF in terms of size and strength. However, during the course of the war, the ROKAF acquired 110 aircraft: 79 fighter-bombers, three fighter squadrons, and one fighter wing. The first combat aircraft received were North American F-51D Mustangs, along with a contingent of US Air Force instructor pilots under the command of Major Dean Hess, as part of Bout One Project. The ROKAF participated in bombing operations and flew independent sorties. After the war, the ROKAF Headquarters was moved to Daebangdong, Seoul. Air Force University was also founded in 1956. A F-4D armed with AIM-9 missiles at Daegu Air Base in January 1979. To counter the threat of possible North Korean aggression, the ROKAF underwent a substantial capability enhancement. The ROKAF acquired North American T-28 Trojan trainers, North American F-86D Sabre night- and all-weather interceptors, Northrop F-5 fighters and McDonnell Douglas F-4D Phantom fighter bombers. Air Force Operations Command was established in 1961 to secure efficient command and control facilities. Air Force Logistics Command was established in 1966, and emergency runways were constructed for emergency use during wartime. The Eunma Unit was founded in 1966 to operate Curtiss C-46 Commando transport aircraft used to support Republic of Korea Army and Republic of Korea Marine Corps units serving in South Vietnam during the Vietnam War. The ROKAF was posed with a security risk, with an increasingly belligerent North Korea throughout the 1970s. The South Korean government increased its expenditure on the ROKAF, resulting in the purchase of Northrop F-5E Tiger II fighters in August 1974 and F-4E fighter-bombers. Support aircraft, such as Fairchild C-123 Providers and Grumman S-2 Trackers were also purchased at the time. Great emphasis was placed in the flight training program; new trainer aircraft (Cessna T-41 Mescalero and Cessna T-37) were purchased, and the Air Force Education & Training Command was also founded in 1973 to consolidate and enhance the quality of personnel training. The ROKAF concentrated on qualitative expansion of aircraft to catch up to the strength of the North Korean Air Force. In 1982, Korean variants of the F-5E, the Jegong-ho were first produced. The ROKAF gathered a good deal of information on the North Korean Air Force when Captain Lee Woong-pyeong, a North Korean pilot, defected to South Korea. The Korean Combat Operations Information center was soon formed and the Air Defence System was automated to attain air superiority against North Korea. When the 1988 Seoul Olympics was held in South Korea, the ROKAF contributed to the success of this event by helping to oversee the entire security system. The ROKAF also moved its headquarters and the Air Force Education & Training Command to other locations. Forty General Dynamics F-16 Fighting Falcon fighters were purchased in 1989. South Korea committed its support for coalition forces during the Persian Gulf War, forming the "Bima Unit" to fight in the war. 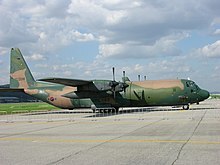 The ROKAF also provided airlift support for peacekeeping operations in Somalia in 1993. The increased participation in international operations depicted the ROKAF's elevated international position. Over 180 KF-16 fighters of F-16 Block 52 specifications were introduced as part of the Peace Bridge II & III program from 1994. In 1997, for the first time in Korean aviation history, female cadets were accepted into the Korean Air Force Academy. The last of the old South Korean 60 F-5A/B fighters were all retired in August 2007, and they were replaced with the F-15K and F/A-50. On October 20, 2009, Bruce S. Lemkin, deputy undersecretary of the U.S. Air Force said that the ROKAF's limited intelligence, surveillance and reconnaissance (ISR) capabilities increased the risk of instability on the Korean Peninsula and suggested the purchase of American systems such as the F-35 Lightning II to close this gap. Three F-15K flying in formation during the Red Flag Alaska exercises, August 2013. The first phase of the air forces fighter procurement programs was the addition to the ROKAF of the F-15K Slam Eagle to fulfill the requirements of the "F-X" next generation fighter program in 2002. For the second phase of the F-X program, ROKAF has purchased 21 additional F-15K to compensate for the retirement of their F-5A/B in August 2007. The third phase of the F-X project is a bid for an advanced multi-role strike fighter aircraft by 2014, intended to replace the aging F-4 Phantom II and F-5. The F-35A Lightning II was selected in November 2013 following the cancellation of the previous competitive tender, with 40 Block 3F aircraft to be acquired beginning in 2018. 20 additional unspecified fighters will also be purchased. The contract became formal on September 2014. The E-X Airborne Early Warning (AEW) aircraft program (also known as 'Peace Eye') was undertaken by the Republic of Korea Air Force to purchase AEW capability to strengthen ROKAF's ability to detect and distinguish between friendly and hostile aircraft. The two candidates for this program were the Boeing 737 AEW&C and a consortium of Israel Aerospace Industries, Elta, L-3 Communications and Gulfstream Aerospace offering a Gulfstream G500/G550 aircraft equipped with Phalcon radar. Originally, the ROKAF preferred the Gulfstream as it was cheaper than the Boeing counterpart. The Gulfstream was, in turn, less capable than the Boeing. However, the fact that almost no other nations, barring Japan, has advanced AWACS gave the Koreans the impression that the Gulfstream would be adequate to handle the given task of the E-X project. The United States issued a warning to the IAI/Elta consortium that several of the AWACS technologies employed aboard the Gulfstream was developed by the United States, such as the IFF system, TADIL A/B (Link 11) and J (Link 16), satellite communications and AN/ARC-164 Have Quick II radios, and thus that Israel was obliged not to resell any of these technologies to another country without the permission of the United States. In August 2006 DAPA announced that the Gulfstream was disqualified from the competition because of the failure to obtain US export licences for the datalinks and satellite communications, leaving the Boeing as the only proposal. In November 2006, the Boeing 737 AEW&C was announced to be the winner of the E-X AEW aircraft competition. In 2011, the first two of four Peace Eye aircraft were delivered. The final two aircraft were delivered in 2012. The KF-X program is an early-stage project to develop an indigenous fighter aircraft. The current proposal is to develop an F-16 Block 50 class aircraft with basic stealth capabilities to replace the F-4D/E Phantom II and F-5E/F Tiger II aircraft. South Korea is reportedly seeking technological assistance from Saab, Boeing and Lockheed Martin for the production of the KF-X. On 15 July 2010, the Indonesia government agreed to fund 20% of the KF-X project cost in return of around 50 planes built for the Indonesian Air Force after project completion. In September 2010, Indonesia sent a team of legal and aviation experts to South Korea to discuss copyright issues of the aircraft. In December 2010 the program shifted from an F-16 class fighter to a stealth aircraft in order to respond to North Korean pressure. The KF-X is envisioned as a medium fighter to at first supplement, then replace the ROK Air Force's KF-16 fleet. It will have capabilities in between the light FA-50 fighter and the high-grade, long range, heavy payload F-15K and F-35 Lightning II. South Korea will resume a once-aborted program to develop Medium-altitude long-endurance unmanned aerial vehicle to bolster its monitoring capabilities of North Korea's missile and nuclear programs. The state-funded Agency for Defense Development launched the indigenous drone development project in 2006 and made a prototype in May 2010. The medium-altitude, long-endurance UAV is designed to fly at an altitude of up to 10 kilometers and its radar can scan as far as 100 km. Korea hopes to complete development of the combat drones by 2018. The overall performance of the drones under development in Korea is believed to be similar to the MQ-9 Reaper. Seoul had shown interest in the high-altitude, long-endurance Northrop Grumman RQ-4 Global Hawk drone to conduct intelligence missions on North Korea, as it is preparing to take over wartime operational control from Washington at the end of 2015. But the price was nearly a three-fold jump from the initial price estimated by the defense ministry, and much higher than $875 million offered by the U.S. government in July 2011. The U.S. Congress approved the sale to South Korea for 4 Global Hawk UAVs, but Seoul could have reconsidered the deal because of the high costs. Northrop Grumman was awarded the contract to provide South Korea with four Block 30 Global Hawks in December 2014, with all to be delivered by June 2019. The Air Force is to acquire four aerial refueling tankers between 2017-2019. Potential candidates include the Airbus A330 MRTT and the Boeing KC-46. The tankers will be used to refuel combat jet fighters. Previous attempts to buy tankers had been delayed due to budget constraints. On 12 August 2013, DAPA approved the plan for tanker acquisition. Bidding was to begin in February 2014, with the winner to be announced in October 2014 after evaluations of price and performance. Air-to-air refueling will increase the endurance of the KF-16 by 70 minutes, and the F-15K by 90 minutes. DAPA declined to reveal the budget for the plan and estimated to be over $1.3 billion. A plan to buy four aircraft was to be approved in November 2013, with evaluations to proceed from March to May 2014. The contract is valued at $940 million. Along with the Airbus A330 MRTT and Boeing KC-46, Israel Aerospace Industries is offering a version of the Boeing 767-300ER-derived multimission tanker transport. Previous aircraft operated by the Air Force consisted of the P-51 Mustang, North American F-86 Sabre, F-4 Phantom II, Curtiss C-46, Douglas C-47, Lockheed T-33, North American T-28, North American T-6, Sikorsky H-19, and the Bell UH-1 Huey. The ROKAF Air Defence Artillery Command transferred from the Republic of Korea Army's air defense artillery and was established as a basic branch on 1 July 1991. Following the establishment of the ROKAF Air Defence Artillery Command as a separate service in 1991, the army began to develop further its own air defense artillery assets (short range SAM, SPAAG and man-portable air-defense systems) in support of ground operations. Officer ranks can be learned fairly easily if one sees the pattern. "So" equals small; "Jung" equals medium; "Dae" equals large. "Jun" equals the prefix sub-.. Each of these is coupled with "wi" equals company grade, "ryeong" equals field grade, and "jang" equals general. This system is due to the hanja or Sino-Korean origin of the names. ^ "2018 Defence White Paper" (PDF). December 2018. Archived (PDF) from the original on 2019-01-16. Retrieved 2019-01-16. ^ "공군가" (in Korean). Archived from the original on February 17, 2019. Retrieved September 2, 2016. ^ KY Karaoke (금영노래방 공식 유튜브 채널) (12 December 2014). "[KY 금영노래방] 군가 - 공군가 (KY Karaoke No.KY4574)". Archived from the original on 17 February 2019. Retrieved 2 September 2016 – via YouTube. ^ "Korea Urged to Secure Intelligence, Surveillance and Reconnaissance Systems". 20 October 2009. Archived from the original on 23 October 2009. Retrieved 20 October 2009. ^ "South Korea's biggest-ever weapons buy: $7B for 40 F-35A jets". Archived from the original on 2014-09-25. Retrieved 2014-09-28. ^ Brendan Sobie (3 August 2006). "South Korea selects Boeing 737-based AEW&C system over Gulfstream G550 platform". Flightglobal.com. Archived from the original on 6 March 2016. Retrieved 28 January 2011. ^ "U.S. Congress approves the sale of four spy drones to S. Korea". arirang.co.kr. 3 May 2013. Archived from the original on 17 December 2014. Retrieved 14 June 2013. ^ "Korea rejected the U.S. Global Hawk UAV ?". news.dbv.vn. Archived from the original on 15 June 2013. Retrieved 14 June 2013. ^ a b c d e f g h i j k l m n o p q r s t u v w "World Air Forces 2018". Flightglobal Insight. 2018. Archived from the original on 6 February 2018. Retrieved 18 May 2018. ^ "ROK Air Force". globalsecurity.org. Archived from the original on 24 September 2015. Retrieved 18 September 2015. ^ "WAF 2004 pg. 86". Flightglobal Insight. 2004. Archived from the original on 24 June 2015. Retrieved 4 October 2015. ^ "Sikorsky Delivers Three S-92 Helicopters to Korean Air Force". aero-news.net. Archived from the original on 1 June 2015. Retrieved 4 October 2015. ^ "Seoul finalises $657 million Global Hawk purchase". flightglobal.com. Archived from the original on 16 October 2015. Retrieved 5 October 2015. ^ "World Air Forces 1955 pg. 648". flightglobal.com. Archived from the original on 20 August 2017. Retrieved 5 October 2015. ^ "World Air Forces 1973 pg. 152". flightglobal.com. Archived from the original on 4 March 2016. Retrieved 5 October 2015. ^ "World Air Forces 1969 pg. 249". flightglobal.com. Archived from the original on 20 August 2017. Retrieved 5 October 2015. ^ "국가법령정보센터 - 법령 > 본문 - 공군방공포병사령부령". www.law.go.kr. Archived from the original on 2014-12-17. Retrieved 2013-05-25.